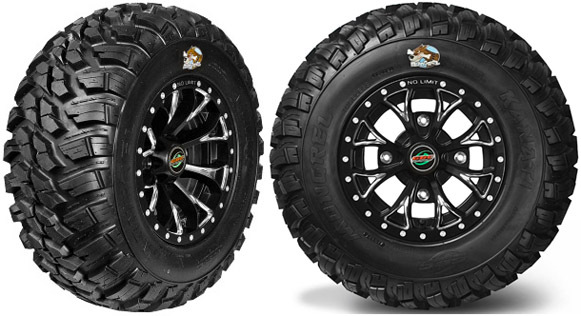 The first true all-purpose DOT tire built specifically for Side-by-Side UTVs. Tread is optimized for peak performance on multiple surfaces. Can handle a variety of off-road terrain while remaining equally safe and suitable for paved surfaces. Radial construction boasts an impressive 1,000 lb. load rating per tire and an equally impressive 87 MPH "N" speed rating.